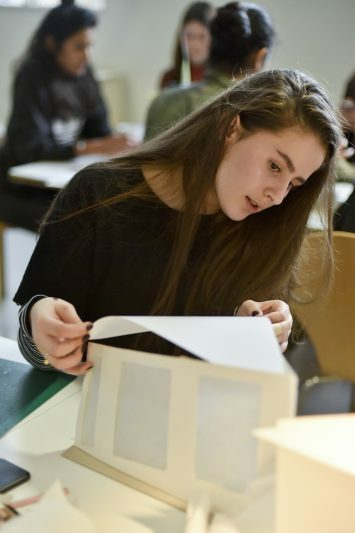 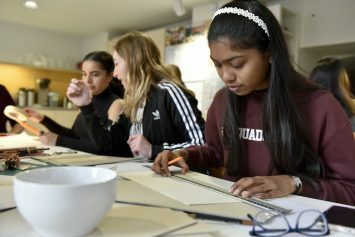 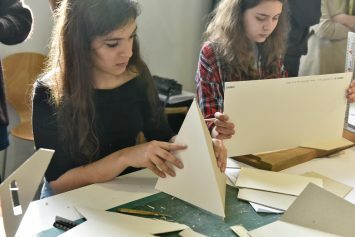 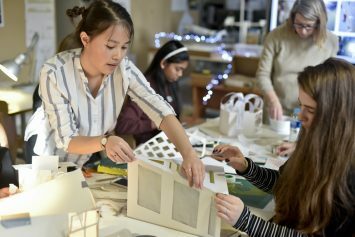 The Victoria & Albert Museum Art&Design Club travelled to Cullinan Studio in Islington for their architectural Masterclass – a model-making workshop based on the play of light and shadow, with Carol Costello, Kristina Roszynski, Sahiba Chadha, Michelle Wang, Richard Pulford and Sam Grainge. 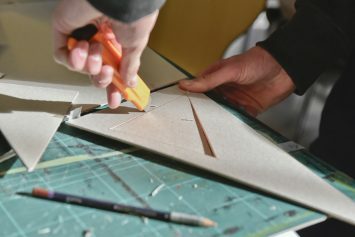 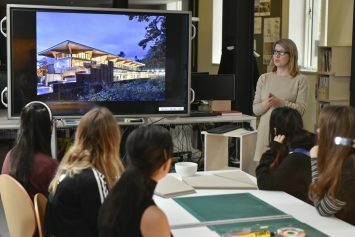 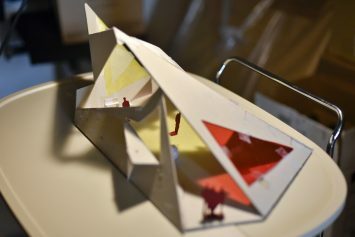 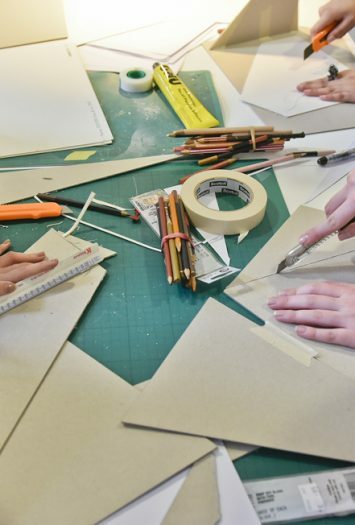 Following an introduction to the practice and its work, the young people were given their brief: to design and make a model of a space for contemplation and exhibition, using a range of card and paper, coloured acetate, tape, glue, string and 3cm-high architectural figures. 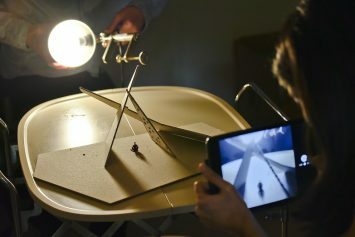 As they worked, Club Members were able to test out their ideas using a small studio in which they could photograph and film their models in the dark using a focused light source. 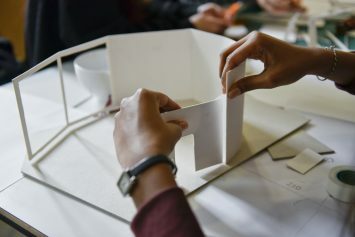 During lunch, they also had the chance to try out a virtual-reality headset with which Cullinan imagines spaces and presents proposals to clients. 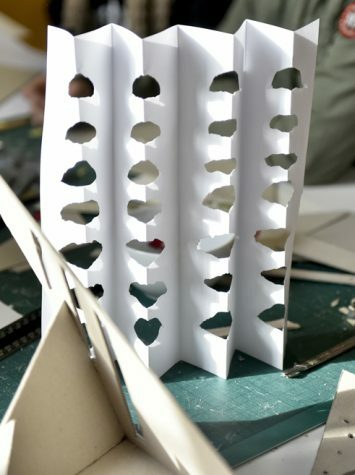 Cullinan had designed baseboards for the group to model on, and at the end of the day everyone placed their models together, creating a tessellation of colours, shapes and textures. 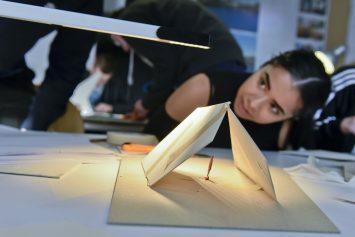 The outcomes were diverse and interesting, and really came to life under dramatic lighting.